With more and more smartphones canceling headphone jack, true wireless earphones gained wide popularities on the market. 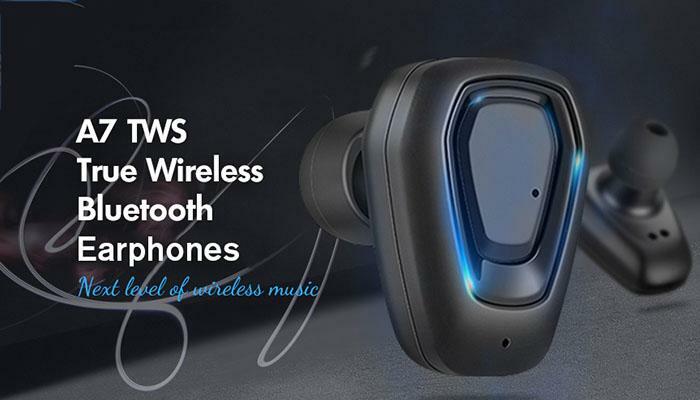 Compared with the traditional earphones, the true wireless Bluetooth earphones enable you free of wire tangling and enjoy great convenience and comfort. 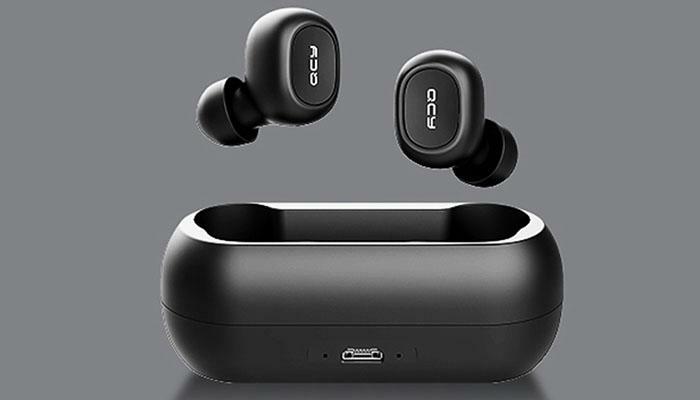 However, with so many wireless earphones flooding the market, how to choose a right one for you and what are the best true wireless Bluetooth earphones 2019? Here is a professional buying guide for you. What is a true wireless Bluetooth earphone? A true wireless Bluetooth earphone refers to a kind of earphones that do not need a single piece of wire for operation. They have totally separate small earbuds that connect to devices through Bluetooth. Even they usually have a charging box so you do not need a cable to charge the earbuds. True wireless Bluetooth earphone is useful especially while running or exercising. There is no pain of wire and you can get the best audio experience without disturbance with loud and clear sound. They are fast responsive and have a good operating range. How to choose the true wireless Bluetooth earphones? Getting the most popular one is not the ultimate solution for all criteria. You need to consider some factors to ensure that the product will be the most suited one for you. Here are 6 key points you must consider before buying true wireless Bluetooth earphones. The earbuds should fit your ear properly and they need to be soft and comfortable. The build quality should be good enough to ensure long durability. The charging box should be small so that they can be carried easily. They should have a fast charging feature with a large enough battery. Having wireless charging facility will be another good feature. The sound quality should be HD with good stereo sound. Noise Cancellation feature is another most needed feature to get a clear sound. Touch Control is the most flexible way to control the operation. Again, one button operation is also good to control the earphone easily. They should have a good range of operation with stable and strong transmitting ability to get clear and continuous sound. This feature let the earbuds to be connected automatically to the paired devices when they are taken out from the box. Among thousands of wireless earphones, we pick out 7 best true wireless Bluetooth earphones of 2019 that will fulfill your expectations and give a vivid experience. Have a look at their review. 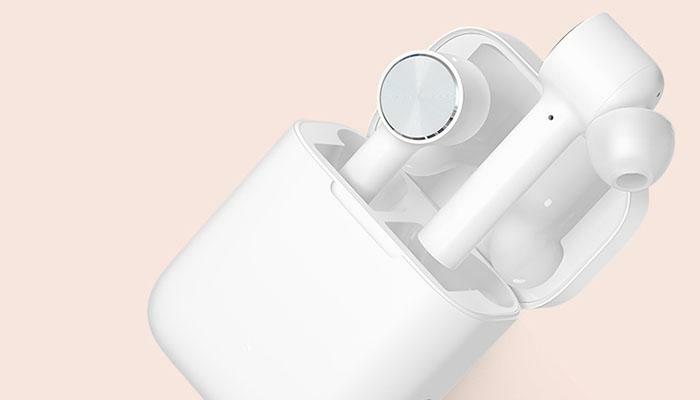 Xiaomi Mi Airdots Pro Binaural TWS Bluetooth Earphones is a lightweight and compact truly wireless headphone that has the AAC, advanced audio coding technology to ensure that you will experience the original sound from the earphone. With the best HD sound quality and the noise reduction technology, it will keep you away from any kind of environmental sounds. Secondly, this product is true wireless so that you can use the two pods differently. When you use one earpiece it will work in Monaural mode but when you use both ones it will automatically change to Binaural mode. Another Merits of Xiaomi Mi Airdots Pro is having easy touch control for changing music, receiving calls and it can also be used for voice assistant. It automatically connects to your device so that you do not need to manually connect it. Finally, this one has fast charging facility with magnetic contact charging feature. The interface is USB type-C that ensure a safe and secure charging. You will also get sufficient battery backup. The things you may not like is there is no color variation for this model, only one color available. Again, it blocks all the sounds from the environment that might be a big problem while traveling or walking.
? Ultra-Small and lightweight, elegant design. 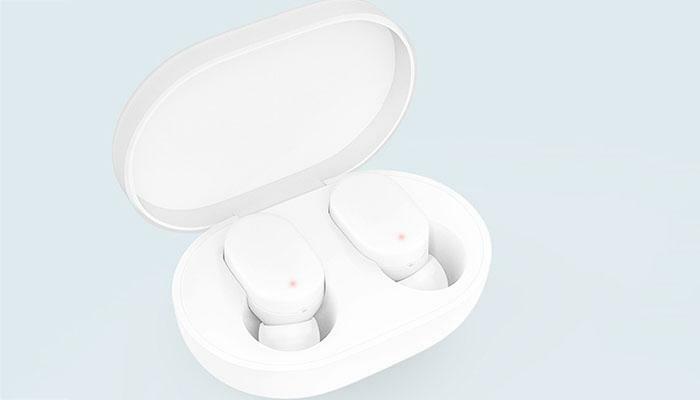 Xiaomi Mi AirDots TWS Bluetooth Earphones Wireless In-ear Earbud is a small true wireless earphone that will fit almost any kind of person perfectly. The compact size and elegant design ensure the comfortable uses with the best audio experience. After that, the newest Bluetooth technology is inserted into this product that ensures the proper transmitting the audio signal to a wider range. It consumes less power that eventually enhances the battery backup. The strong anti-interference feature ensures for a stable signal receiving. Consequently, the box is well designed which is durable and easy to carry. When you take out the earpieces from the box, it will be automatically booted for using. 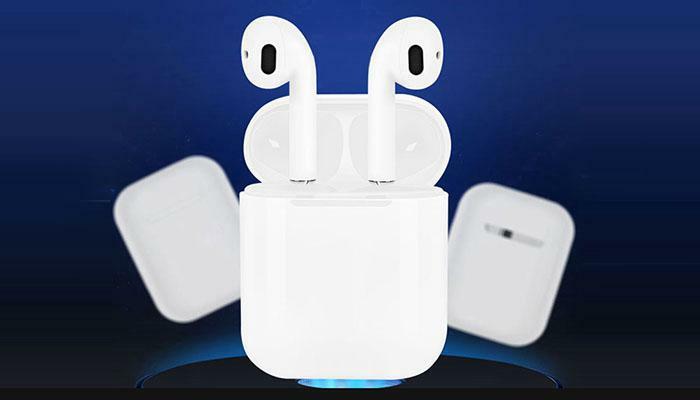 At the same time, it also connects the earphone to your phone or other devices that were paired automatically. In addition, the built-in touch control panel is fast responsive and accurate. You can answer or reject your call, play or pause music, open silent and as well as call voice assistant with the touch control system. The cons of the product are there is no fast charging feature and the port is USB type B that is a backdated technology. Original HUAWEI HONOR AM – H1C FlyPods Wireless Earphone Bluetooth Touch Binaural Earbud is a true wireless Bluetooth earphone with impressive audio experience. The premium ID design makes it simple but elegant to look that also ensures a comfortable hearing experience. The built-in double tap control feature allows you to control all the operation by just double tapping on the left or right earbud. You can answer or reject calls as well as to activate the voice assistant of your device. Besides, there is an Infrared sensor on the earbuds so that it can sense when you wear them or taken out from your ear automatically. This feature lowers the power consumption also make it smart to transmit the signal or not. The most amazing fact is the 2 microphones on both of the earbuds to ensure proper noise cancellation. Again, you will find a seamless switch that allows you to hear to your call with one earbud and the other sounds with surroundings with the other one. The things you may not like about the earphone is that it takes much longer time for charging. Another fact is that the earbuds are too uncomfortable to use this while running or cycling. The i12 TWS is a true wireless earphone with high performance and durability, and it is also regarded as one of the best Apple AirPods alternatives. It uses the newest technology chip that enhances performance and ensures high-speed transmission with great stability. It also consumes less power that enhances battery backup. The portable charging dock is small and well designed to carry in your pocket or bag. It allows you to charge you earphone any time to get an extra battery backup. i12 Sports Wireless Bluetooth earphone has tri-band Equalization feature that ensures to give you the best hearing experience according to your expectation. Both of the ears are separately designed so that they can operate individually or combinedly. On the other hand, one key operation allows you to have easy control over all the operation like turning on the earphone, answering or rejecting calls, play or pause music. Finally, you can use this product with any kind of device like Android or iOS smartphones, tablets or iPad or even with laptop at home or outside. The problem you may face with the product is that the range of transmitting signal is not large. 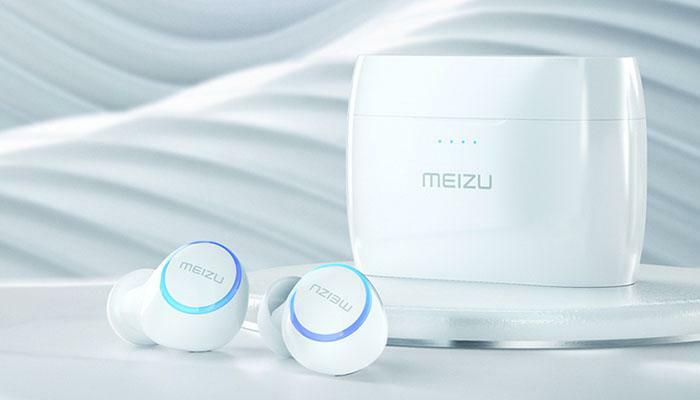 MEIZU POP Wireless Bluetooth In-ear Earbuds is a mini and lightweight true wireless Bluetooth earphone. Dual wireless earbuds are well designed and you can easily use them comfortably even when running or exercising without having any disturbance. The box that keeps the earbuds, supports wireless charging so that you do not need any kind of cable to charge them. The earbuds will be automatically charged when you keep them on the box. After that, the automatic emergency shut down feature let you to turned them off when you put them on the box. Another feature is open and connect. When you open the box, the earbuds automatically turned on and connects to the paired devices. In addition, the box has a large battery with USB type C port. It will eventually ensure to get a long-time battery backup as they can charge the earbuds almost 4 times in full scale. The problem you may face with the product is that the Bluetooth range is small so that the signal may be attenuated when your device is a little bit far away. QCY T1C Mini Bluetooth 5.0 Wireless Music Earphones is a compact true wireless earphone with elegant design and different color. The earbuds are small and have a quite loud sound. Alfawise A7 TWS Wireless Earphones is an ultralight earphone that is completely wireless. With an ergonomic design and high build quality, you will be ensured of getting proper comfort and long durability. The surface is soft and sweat proof and fit to any one’s ear easily. Another amazing fact is this earphone can be connected to 2 different devices at the same time with a good operating range. The Bluetooth signal is stable and strong so that you will never face any problem in audio streaming. Most importantly the earbuds produce high-quality stereo sound with boosting bass. With the noise cancellation feature, it will enhance the audio hearing experience with natural and clear sound. You can use the earbuds jointly or separately. In addition, the charging case has a micro USB charging port. When you place the earbuds on the case properly, they will be charged. They have a good battery backup to ensure a longtime use. The problem you may face is that it takes a long time for charging and there is no touch control for operating. Here some of the Frequently asked questions (FAQs) about the true wireless Bluetooth earphones. 1. Can I charge them without the charging case? Ans: No, you can’t charge the earbuds without the charging case unless they have the special feature. 2. Is it necessary to carry the charging box all the time while using? Ans: No, it is not necessary to keep the charging box nearer to the earbuds while using. But they are necessary for emergency charging. With the up to 7 best true wireless earphones picked out for your choice, there must be a right one for you. Personally speaking, if you just want to try experiencing the true wireless earphones and don’t want to spend much money, the Alfawise A7 and QCY T1C are both good choices for you. If you want to find an Apple AirPods alternative, the i12 TWS is the right one you like. If you have a very high request to sound quality but don’t have enough budget, the Xiaomi Mi AirDots may be your best choice. 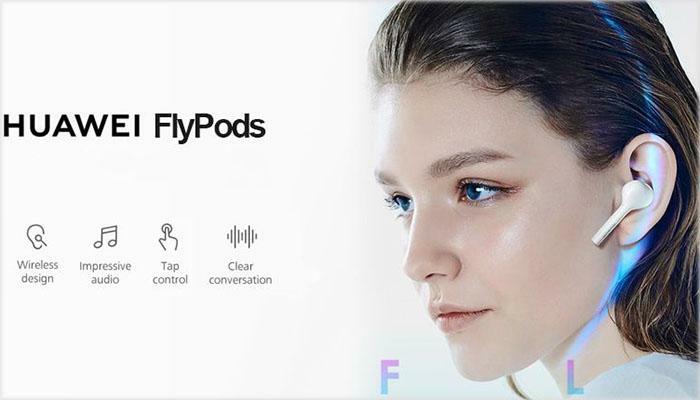 While if you specially pursue the sound quality and using experience regardless of price, the Xiaomi Mi Airdots Pro and Huawei Honor FlyPods will meet your expectation.